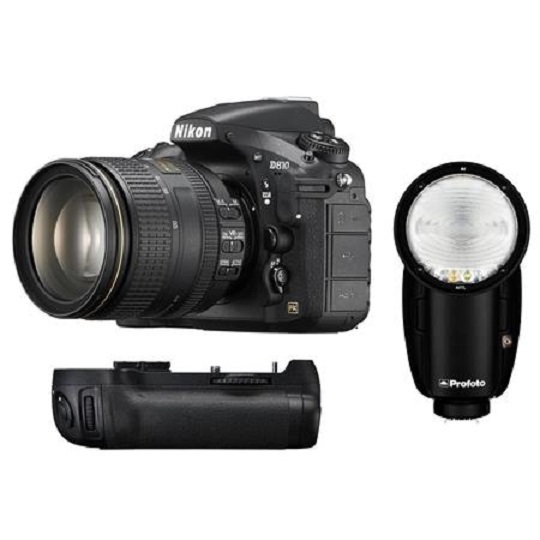 Nikon D810 with 24-120mm Lens + Battery Grip + Profoto A1 AirTTL-N Light: $3,996.95 at Adorama. This is $800 off (17% off) compared to the regular price $4,796.95. In addition, the Nikon D810 w/24-120mm Lens + Free Nikon MB-D12 Battery is currently on sale ($800 off) at Amazon, B&H, Adorama for $3,296.95. Great deal! Read more: Best Lenses for Nikon D810.